Here's a great video if you're looking for 5S before and after pictures. Also highly relevant if you are wondering how to conduct a kaizen event. It's a fairly long video, almost 10 minutes, so give yourself a bit of time to digest the info. The first few minutes shows the before situation. Lots of embarrassing pictures here, but I don't like to point fingers since I'm sure we are have areas like this in our own plants. Plenty of examples of things not having standard homes. Boxes on top of cabinets, under desks, and on top of other boxes. Left over scraps in piles. As the participants clean up, you'll see the junk yard created outside where their lugging the unwanted items. The pile just keeps getting bigger. 5S isn't just about cleaning up, though. Aside from the 5S before and after pictures, there's some insightful comments during the closing session (start at 7:13 in the video). Goal was to increase productivity in their Paint area. Generated a whole wall of Post-its identifying problems. Organizing the work space made things easier to find. Lines on the floor to standardize the floor space. Arrows on the flow indicate flow. 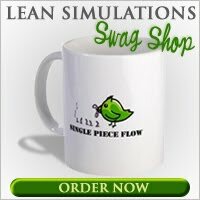 I've added this video to my collection of free lean videos. If you're interested in a 5S training game, check out the 5S Number Game. Is there anywhere I can download these videos to play them? It seems it needs flash to play them, which we don't have installed and I cannot install without Admin access. Unfortunately I don't own these videos. I find most of them on youtube or vimeo and embed them in the blog. Some workplaces don't allow youtube access or flash and you won't be able to see them. From now on at a minimum, I'll try to include the direct youtube link so that you can at least save the link for later. That would be good, we have Youtube blocked here, I will try to download the video at home and bring it in on a memory stick so my team can view it. The Nova Titanium NHT 1075 comes with a strong Durable Titanium Blades greatwebsitebuilder Features an Oil can, 3 accessories as well as a bag. 5 Best Beard Trimmers The trimmer is water resistant so a little water will not injure it. professional beard trimmer This assists in ensuring that you can get what is the beard trimmer they have to be a lot more comfortable in use. official guide taking a trip as well as have no accessibility to power supply.